How Does On Property Help It's Customers? 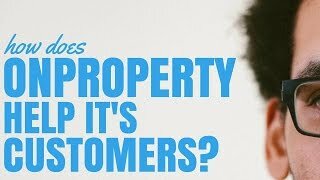 How Does On Property Help It's Customers? I’m passionate about helping people find and invest in positive cash flow properties. Here’s the products I offer to help my customers do just that. Hey guys, Ryan here from onproperty.com.au and I am passionate about helping you find positive cash flow properties. In this episode, I want us to talk about the different products that I have that can help you on your journey to finding and investing in positive cash flow properties and moving towards your goal, which is probably financial freedom. All of the stuff that I do, everything is all based from my website at onproperty.com.au. So I’m going to head over there now and we’ll have a look at what I do offer. We’ll go through all my products so you can see whether or not these are for you and if it’s something that you want to go ahead and get access to. So if we go to onproperty.com.au and we just hit on the Resources tab, that is going to show all of my products. So the most popular of my products is probably the On Property Membership. So if we go ahead and open this in a new window, we’ve got the sales page here, which talks about everything that you get. It talks about finding positive cash flow properties, etc. But the big difference between this and any other product on the market; firstly, is it’s pretty low priced compared to the $1,000 coaching package that are out there. This isn’t designed to be mentorship. It’s not designed to be coaching. It’s designed to serve you and fill one particular need that you have, which is helping you find positive cash flow properties and then go ahead and invest in them. There’s 2 options. There’s a Complete Package, which is what most people do and there’s also the Starter Package. I’ll go through and talk about them then we’ll go inside the membership site so you can see how it works and you can determine whether or not you think this is going to suit you or not. So, basically, you get access to a few different things. The first thing you get access to is the properties. Every single day, I go out and I find a high rental yield property with a good chance of being positive cash flow. We’re talking yields above 7%, above 8%, sometimes above 9% or 10%, up there. However, if they’re in dodgy areas, I don’t tend to list them. So, every single day, I go out and I find a new high rental yield property that is estimated by my calculator – which we’ll go through in a minute – to be positively geared. I want to show you guys that, yes, they do exist. Here they are, you can see the properties themselves. These properties are on the market, available for sale. You can see the suburbs that they’re in. You can go through, you can look at these. You can go ahead and call the real estate agent as well. Every single day, we list a new one and we list properties from all over Australia. So, New South Wales, Queensland, Melbourne, Victoria – basically, anywhere you can think of. If we can find positive cash flow properties, we do. Big question that I often get asked around this is, “Do you find properties in capital cities?” The answer is, “Yes.” However, not as often as in regional centers and things like that. So I do find positive cash flow properties in Sydney, in Melbourne, in Brisbane, in Adelaide, etc., etc. However, they’re kind of spread out, so I might find 1 property in Sydney one month, a property in Melbourne the next month or something like that. So if you’re looking specifically for positive cash flow property in just a couple of suburbs or in one particular city, this may not suit you because I spread out the properties all over Australia so everyone can see, okay, here’s all the areas where positive cash flow properties exist. I don’t focus on one particular area, I show you properties from suburbs and regional towns and cities. Everything all over Australia. You’ll also get access to our archive listings. We’ve been active for over a year and so we have over 500 properties in our archives. You can go back if you want. Some of these may be sold or no longer available for sale. However, you can see what the properties were. You can see the areas that they were listed in so you can get an idea for the suburbs that have positive cash flow properties in them. So, let’s go ahead and we’ll have a look inside that now. If I go to onproperty.com.au and this is after you’ve logged in. It’ll look like this. We can begin to see some properties here. So here’s the fist 2 properties, which I’m probably going to censor out in the video, but basically, we can see the property, we can see the picture, we can see the address. We’ve got asking price. We’ve got the estimated rental income, gross rental yield and estimated weekly cash flow. So let’s go ahead and open this one that is in Victoria and we can get more details here about bedrooms and bathrooms and stuff like that. If we scroll down, we can see an image of the property. We can click to see the property listing. So this is going to open in realestate.com.au or domain.com.au, wherever is was found and you can see all the details there and get in contact with an agent. So that’s basically how the listings work. We can also go ahead and we can go to the archives and we can see all of the properties that have been listed there. If we go ahead and load up the archives, we can click to see properties by state. So for example, we can click to see Queensland and it’ll show all the properties as a list there for Queensland or we can scroll down and basically see a full list of all of the properties. I’m not going to scroll through it all because, obviously, this is for members only. So, in terms of the properties that we find, that’s kind of how you get access to it. We also send out a daily email for each property as well. So if you don’t want to access the membership site, don’t want to have to login every day, that’s completely fine. When you join, you’ll get daily emails with these properties in there so you never have to log in. So that’s the main feature that most people love about it. We’ve also got a whole bunch of different tools in there. The most popular tool being the Advanced Cash Flow Calculator. Again, if we’re logged in to On Property, if we go to Tools, we can see all the different tools available. The most popular being the Advanced Cash Flow Calculator. We’ve got a Suburb Research Checklist, a Financial Freedom Calculator and a Town Population Statistics tool. The calculator is a very awesome and powerful tool where you can just punch in things like the purchase price. Let’s say it’s $200,000. Rental income of $400. Interest rate of 5% and it’s going to give you a rough estimate of the weekly and yearly cash flow of a property. You can also change everything. From the deposit to how much stamp duty you’re paying all the way to property manager fees, expected vacancy, repairs, insurance, all of this sort of stuff. So you can go through and edit all of this and that will adjust your cash flow as well as your cash on cash return. If we scroll down to the bottom, we’ll see cash flow after tax as well as cash on cash return before tax. So, basically, it’s going to help you estimate the cash flow of any property that you’re looking at. And you can then save it so you can edit it later or you can save it as a pdf. It’s a printable document that you can share with your spouse, investment partner, advisers or whatever. So the tools is a big part of why people love the membership as well. And then, lastly, is the videos or the courses that you get access to. Let’s go ahead and have a look at those. If we go to the Courses page, this is really cool. I’m really proud of these courses that I’ve created. They save “free”, but that’s free once you’re a member. So you don’t have to pay any extra to get access to these. Let’s have a look at the How to Find Positive Cash Flow Properties course. If we go ahead and click on it to open it, then what we’ll see is we’ll see the first video here and we’ll see the list of all the different modules that are available. We can go ahead and click on a module. You can see that I’ve already actually gone through and completed it. But basically, it splits it into different topics and so you can click on the topics, you can go through and watch the video. Once you’ve watched it, there’s usually a “complete” button there and you click “complete” and then, it takes you to the next video and it tracks your progress. So just like how Netflix tracks where you’re up to in terms of watching Daredevil or watching whatever show you may watch on Netflix. I absolutely love Brooklyn Nine-Nine. This will track where you’re up to in terms of the courses so you can come back at any time and it remembers where you’re up to. So, in the courses, the best courses are “How to Find Positive Cash Flow Properties”. So I show you exactly how to find positive cash flow properties the same way I do. The same way I find the properties that I list, I show you how to do that. Also, I really love the “Advanced Suburb Research” course where I go through and I show you how to do research into a suburb using nothing but the internet and how to understand whether or not that suburb is a good area to invest in. “Advanced Suburb Research” is a great course as well. And then, we’ve got smaller courses like on how to budget as well as the basics of positive cash flow properties as well. So in terms of the Complete Package, that’s what you’re going to get access to. These courses, I sell individually for $100 each. Basically, you get them all included in this package, which is currently $299 per year. If you want to get the Starter Package, you can get access to that, which is a lot cheaper. It’s $99 per year. Basically, you get access to daily properties. You don’t get access to the archive of old properties, you just get new properties. So the day you sign up will be the first property you get access to and then each day after that a property will be added to your account or will be emailed out to you and so, you get to see all the new properties since the date you sign up. However, you won’t get access to the archives of the old properties, any of the courses or the tools or anything like that. So, if you just want someone to show you some real positive cash flow properties, that’s all you care about, you want to see ones that are available on the market now, then the Starter Package is a great place to start. $99 per year. You can upgrade to the Complete Package at a later date if you want, just go ahead and shoot me an email. That’s the most popular resource, is the On Property Membership because people want to be able to see real positive cash flow properties and they want help being able to find them as well. Now, we kind of already touched on it, but I do have video courses available individually. So, that course on How to Find Positive Cash Flow Properties, you can go ahead and purchase that. That’s $99 or $100, I think, at the moment. There’s also the Advanced Suburb Research course as well, which you can go ahead and check out. I think that’s $100 as well. We can see the sales page here. Yeah, it’s $99 for those courses. So you can purchase them individually. So if you don’t want to pay to see the properties, you just want to learn how to do it yourself, or you need help researching an area. You know the areas you want to invest in, but you just want to do some research before you go ahead and invest, gain some confidence in the area, then the Advanced Suburb Research course is absolutely invaluable. The stuff we go through in that – to teach you how to research an area, understand whether it’s good or not, the different statistics to look at, the free tools to use to get those statistics. That course is probably the course I am most proud of because it is so valuable to people looking at investing in property. And then the last product that I have is what’s called Property Tools, which you can go ahead and check out at propertytools.com.au. So, basically, inside Property Tools is the calculator that we went through. So, if we go to pricing, you can see the pricing at the moment. You can get access to it for $5 a month or $50 per year. This is about to go up to $10 per month or $100 per year, just to let you know. It’s basically when I get around to changing it is when the price will change. So it is going to change prices soon. And so, once we go ahead and login to that, we then get access to the Cash Flow Calculator. So, again, you can put in things like purchase price. Let’s say we’ve got a property for $300,000 that’s renting for $500 a week. What is the cash flow likely to be? We can go through and we can edit all of the different things to get the most accurate cash flow prediction we can. Because often, so many people go and they look at property, they’re thinking the property might be positive cash flow, but it is quite time consuming and difficult to work out all of the expenses and things like that, how that’s going to affect cash flow. So this is a really easy way to punch in just purchase price and rental income and get a quick estimate of whether or not it’s likely to be positive cash flow. And if you’re seriously interested in the property, then you would go through and you would fill out everything else. And you say, “Okay, well, property manager fees are actually 7%, but vacancy rates for the area, actually 2%. Repairs and maintenance, it’s an older property, so I’m probably have to go and do maybe $2,000 a year in repairs and maintenance.” You can go through all that stuff and each time you do it, you can see it affects your cash flow. You can see how it affects your cash on cash return as well. So this tool is something I’m super proud of that will really help you in your research when you’re looking at purchasing properties. If you want to understand what the cash flow of that property is likely to be. As well, if you own an existing property, you can say, “Okay, well, what’s my cash flow estimate? What sort of things could I do to improve the cash flow?” Let’s say I lowered my loan amount, how would that affect my cash flow? Let’s say I could get an extra $20 per week, how would that affect my cash flow? So, it’s really valuable for people looking for property, who want to understand the cash flow or if you have an existing property and you want to improve the cash flow and you want to work out, “What things can I do and how will that affect my cash flow?” That’s a really cool tool. So that’s over at propertytools.com.au. And then the last thing that we offer, which isn’t something that I offer from On Property, but it’s someone that I partner with and his name is Ben Everingham. He is a buyer’s agent. He runs a company called Pumped on Property. He’s actually offering the On Property audience. I like to call you guys On Propertiers. So he’s offering On Propertiers a free strategy session with him. You get to sit down with him, talk through your situation, your goals, how you can use property to achieve financial freedom or whatever it is that you’re trying to achieve. And then, he will talk through that and give you some ideas, give you a strategy to move forward with. Now, he’s a buyer’s agent, and so, there is an opportunity in there to obviously choose to use his services and to pay him to help you find a property as well. Great buyer’s agent. A lot of people have used him and been very happy with his services. I do get a referral fee if you let him know that you can from On Property at no extra cost to you. And so, I absolutely appreciate everyone who goes to Ben and lets him know that, “Hey, I first heard you or Ryan recommended you from On Property.” Then I do get a referral fee for that. So, thank you everyone who has done that. I really appreciate it. That’s the last thing we offer, is we partner with Ben to give you guys that free strategy session. And then, he runs a buyer’s agency so he can act as a buyer’s agent and help you to find a great area to invest in and to find a great property to purchase. The reason that I recommend Ben is that he’s basically the only person in this industry that I trust. His research methods, the way he treats clients, everything that he does is basically as close as I could get to if I did it myself without actually having to do it myself. So I’m really blessed, really proud to be partnered with Ben and to recommend him to you guys. If the strategy session is something that you’re interested in, then just go to onproperty.com.au/session. You can read a bit about Ben there and you can go ahead and you and you can request a free strategy session with him just by entering your details there. You can go ahead and book in a free strategy session with Ben. In terms of what do we offer in On Property, in terms of products to help you go out there and invest and find great properties to invest in, the first is that membership where we have the Complete Package where you can see all the properties. You can get access to all the tools. You can get all the videos. Basically, everything that I offer. You can get access to that all in one package for $299 a year. There’s a Starter Package if you just want to see new property listings. That’s $99 per year. We also have the Property Tools over at propertytools.com.au. That’s $50 a year or $5 per month at the moment, but it will be going up to $10 a month or $100 a year shortly – once I get around to it. We also have those courses on how to find positive cash flow properties for $99 or how to research an area as well and then that free strategy session with Ben. You can see all this stuff, just go to onproperty.com.au. Click on the Resources tab there and you’ll be able to see all the resources that we have. Because I’m constantly adjusting things, I’m adding new tools or adding new courses or taking away things that I don’t want to sell anymore. Things are always changing and I’m always trying to help you as best as possible. If you have any ideas on products that you wish I could make that would really help you, then just get in contact with me, ryan@onproperty.com.au. I would love to hear from you because I’m always looking for new product ideas and better ways to serve you. But again, if you want to see any of this stuff, if you want to support On Property and all the free videos that we do, this is how On Property is paid for. It’s through these products, through the memberships, through the courses, all of that sort of stuff. I try and make it as high-quality and impactful to your life as possible. I know that this has helped a lot of people and I hope that it can help you as well. So go to onproperty.com.au, click on the Resources tab. Have a look through all of the stuff that we have to offer and if one of those suits you, then go ahead and sign up. If none of them are for you or you can’t afford it at this point in time, that’s absolutely fine. These free videos are all the free episodes that I do will hopefully help you move towards your goal of investing in property. And if you ever need us, we are always here. Thank you so much for watching this episode where I talk more about exactly what I offer at this point in time. I hope that I can help you in some way. I’d love to have you as a customer of On Property. And until next time, stay positive.